All Griller. No Filler. 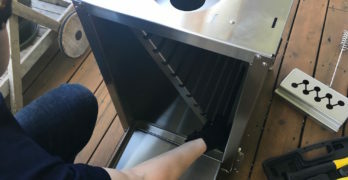 100% BBQ. 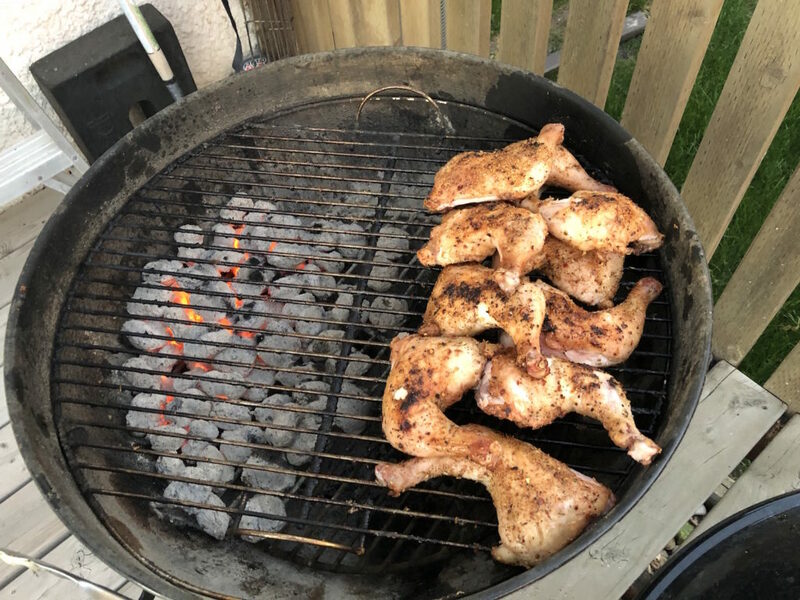 We love using our Weber Kettle Charcoal Grill, and Weber also makes a nice line of seasonings that are real crowd-pleasers around here. We’re loving Weber’s Gourmet Burger Seasoning lately, which is great on beef burgers of course, but also surprisingly tasty on chicken, too. 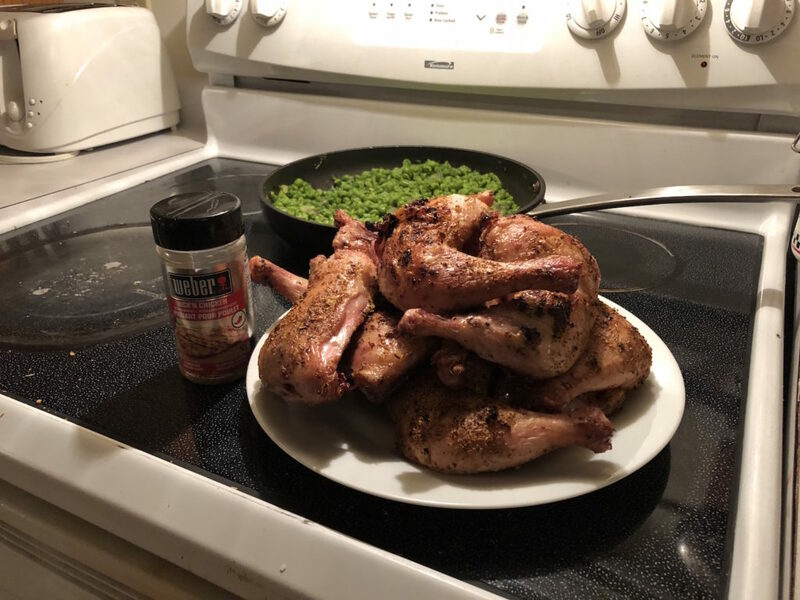 Our other go-to is Weber’s Kick’n Chicken Seasoning which is what we used last night on a mess of chicken legs (see below). It’s a blend of some reliable basics, like dehydrated garlic and onion, and red pepper, but there’s also some orange peel in the mix. Gives it a hint of fresh-tasting citrus and some nice colour. What’s not to love? …And here it is moments before we sat down to eat. Not sure how well the color on the chicken skin shows up in the picture, but this seasoning gives the chicken a pleasant warm orange hue. 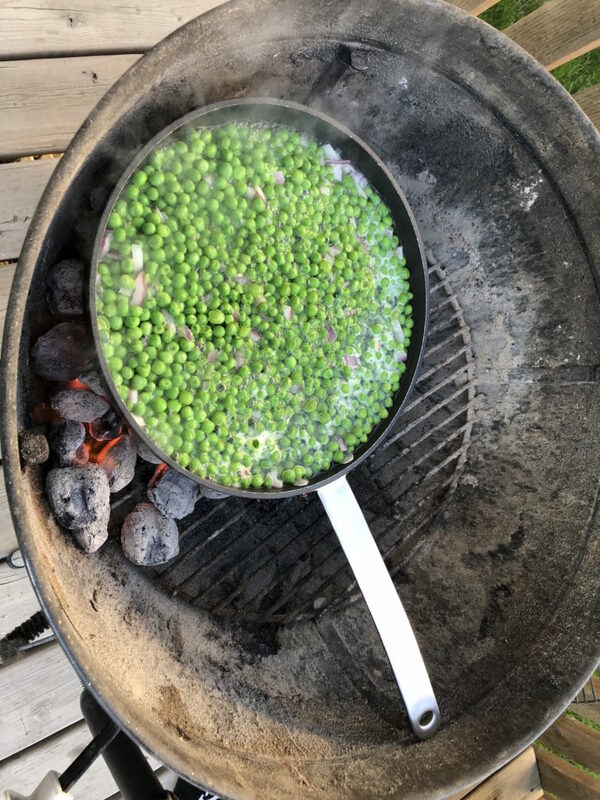 So, while it’s fun to get creative mixing up this and that in the kitchen to create cool rubs and spice blends, it’s also great (and a super timesaver) to find a reliable line of seasonings that you can count on to bring the flavor in a hurry. Nice job, Weber.